It's a bit embarrassing how few live kids'-music shows my family has been to, given that I spend this much time writing about the subject. 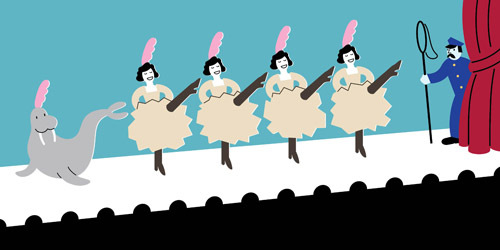 I always intend to bring the boys to see the acts we enjoy most, but something else always comes up on the weekend or day in question—a visiting relative, a nasty cold. 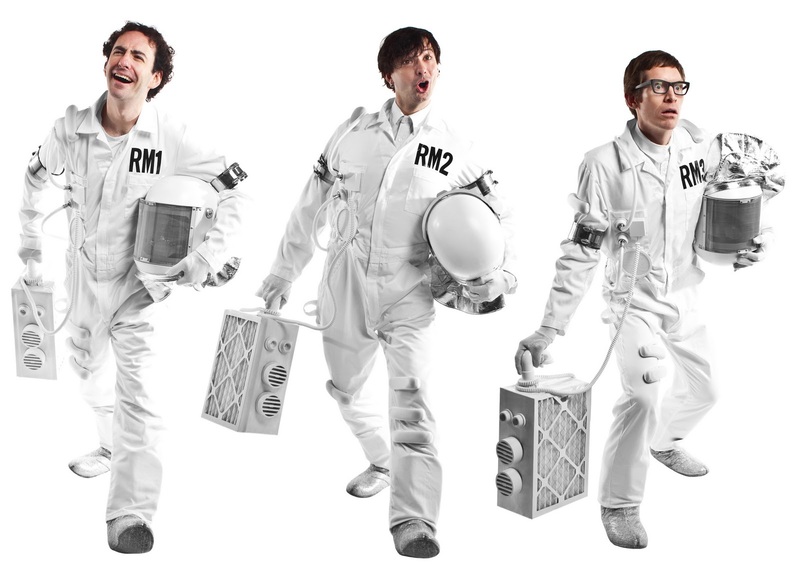 And so a bunch of perfect opportunities have passed us by: Secret Agent 23 Skidoo, Lunch Money, They Might Be Giants. Lame, I know. The band, three working grade-school teachers who were able to tour last week only because they were off for winter break(! ), had already played an early show the same day. But you'd never have known that from their energy when they took the stage, grabbing the audience with their catchy uptempo numbers that got the little ones up and dancing. Dash was psyched to hear live versions of tracks he knows from the recent album ("Jet Pack," "Moon Boots," "Booster Seat"). But he was soon singing along with lead singer/guitarist Drew Holloway on tunes he was hearing for the first time as well; thanks in part to the engaging introductions by bassist Jack Forman, it hardly mattered whether you knew the material before you came or not. As for me, I was marveling at how these guys, at the top of their game and their field, were making a full NYC house of about a hundred kids and parents feel intimate, like a show played for a group of friends. I suppose being full-time schoolteachers probably helps there; as I asked Dash on the way home, "How cool would it be to have these guys as your teacher?" Dash was beaming all the way home, looking over his signed CD sleeve, and I vowed that I'd do better at getting us out to more shows in the coming months. With spring approaching, there's no shortage of opportunities in the NYC area; the Just Kidding series itself has an upcoming Justin Roberts show on March 26, for instance. And every major U.S. city seems to have at least one series like this in town, but an even better way to find shows to attend is just to check out your favorite musicians' own websites and see if they might be heading your way anytime soon. 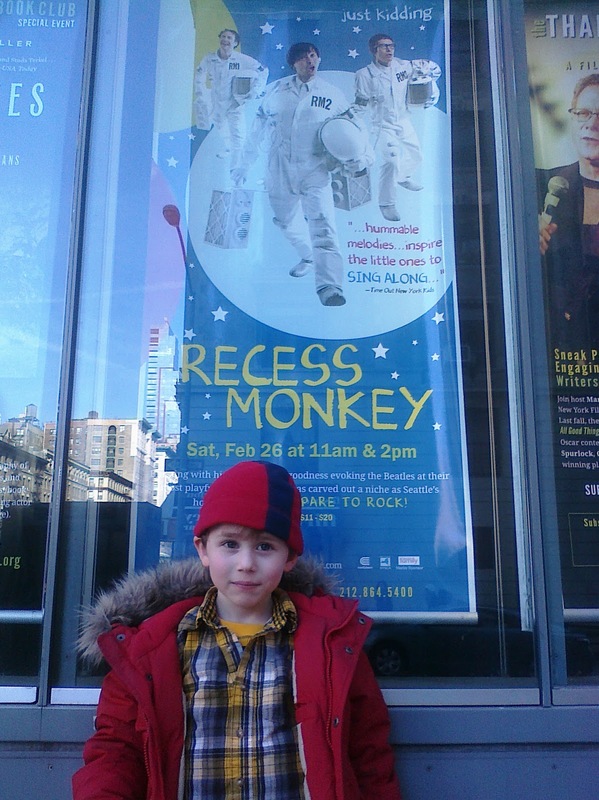 There's even another chance for New Yorkers to see Recess Monkey soon—they'll be playing the 92nd Street YTribeca on May 1. (Is school out that week too, or are they flying cross-country for the weekend?) Any fans who haven't seen them live yet should jump at the chance; we very well may go for seconds ourselves! And so this post is, first of all, a welcome to any readers who are discovering this site via the SAY 100; I pledge to exert every effort to live up to the recommendation! But it's also an exhortation to my existing readership to check out the SAY 100 list for themselves—it's well worth the click-through. Several of my existing favorite online writers (Mark Bittman, say) are there, but I've also already discovered many new favorites. And with every link I click, I'm a little more humbled to be on a list alongside them all! Yes, once again I'm a sucker for a wordless picture book. And as usual, it's not just the sheer beauty of the art I'm enamored of—though the retro-style illustrations by its author, graphic designer Stephen Savage, are plenty appealing—but also the whimsy and the charming execution of its concept. The title nod to Waldo notwithstanding, Where's Walrus? isn't a true visual-puzzle book, which will probably be a relief to the young toddlers that are its audience. (Nor, as far as I can tell, is it an Alan Parsons Project reference.) It's really part of the crafty-animal-escapes genre to which classics like Good Night, Gorilla and even Curious George belong. 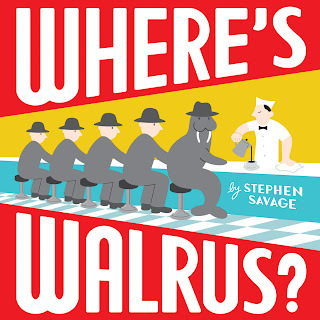 And its plot is disarmingly simple: A walrus takes a powder from the zoo, and a mustachioed zookeeper then chases him around as he blends in with a series of absurd city scenes, including a lunch counter out of a Hopper painting, a line of can-can dancers, and a row of shop-window mannequins. 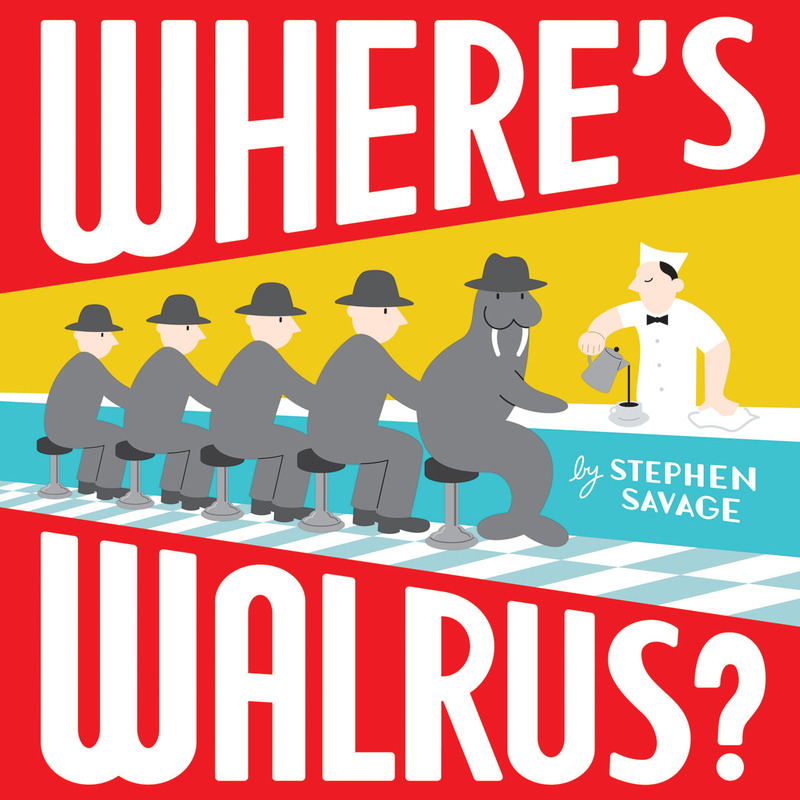 It's all pretty silly—Walrus is in ridiculously plain sight on every spread—but that's precisely what will delight young readers. Our two-year-old is pleased as punch to have it both ways, triumphant that he can quickly answer the title question with every turn of the page--there he is, right there!—yet also giggling more and more with each one of those turns. I dare say parents won't be able to resist a smile now and then themselves. Just found out that one of our family's fave kids'-music groups is playing live in our area, and I wanted to make sure to get a blast out about it to those of you who live in or around NYC. 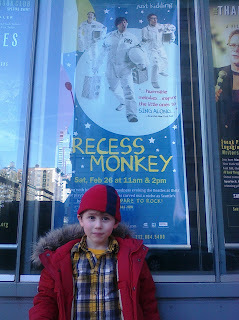 Seattle's Recess Monkey, whose album The Final Funktier was on my and a lot of other smart people's best-of-2010 lists, is coming to Symphony Space on 95th Street & Broadway, as part of the venue's Just Kidding series, for two shows on Saturday, February 26: one at 11 A.M., the other at 2 P.M. I've gone on and on about Recess Monkey in this space a few separate times now, so suffice it to say they're three supertight musicians whose songs are catchy, often surprisingly complex, and always incredibly fun. I've heard they also put on a heck of a live show, and I intend to be at the second show with my older son to find out for myself. Look for me there! As I've mentioned before (endlessly, I know), my son Dash, now six, is a big fan of all things spooky and scary—ghosts, witches, vampires. The Nightmare Before Christmas has been a favorite movie since age three. So on reputation and subject matter alone, it was a no-brainer that he would, sooner or later, enjoy the children’s novels of Neil Gaiman. Now, Dash devoured several of Gaiman's picture books—the macabre The Dangerous Alphabet, the sweet Blueberry Girl (out in paperback in March! )—the moment they came out. Both are standouts for their cleverness, but also feature a light touch that I found surprising, having only read Gaiman's early graphic-novel work (mainly Sandman) to that point. But even in Dangerous Alphabet, the writer demonstrates that he doesn't believe in sheltering young readers. 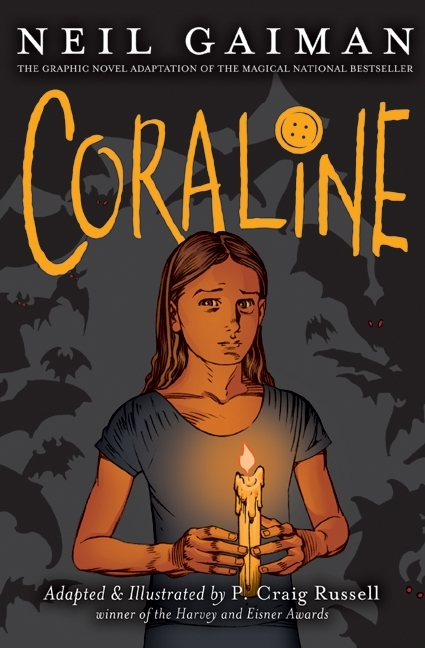 The novel Coraline, which I first encountered in perhaps its most frightening version, the P. Craig Russell–illustrated graphic novel (at left), even scared me a little. (The animated film is a Dora episode by comparison, drained of a good deal of the book's creepiness; I found it a little disappointing.) I was blown away by this book—by the storytelling skill, sure, but also by the seamless way Gaiman folds psychology into the tale: Is all this magical, creepy stuff really happening, or is it in the mind of a lonely, creative girl who's furious at her parents for neglecting her and flirting with the idea of an “other” mother and father, then realizing you have to be careful what you wish for? As with most great writing of this kind, the answer is up to the reader—and either way, the ending is deeply satisfying. 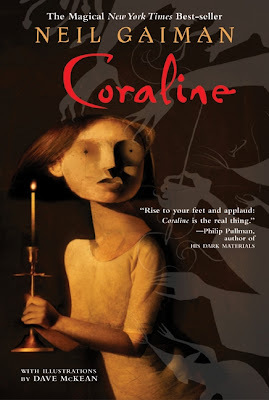 But Dash had just turned three when I finished Coraline, and it isn't scary in a playful way—it's really scary! (Even the original chapter-book version, which is slightly less vivid for not being explicitly illustrated, can induce chills—plus, at the time it was a bit ahead of Dash’s reading level anyway.) So while I was convinced of Gaiman's brilliance as a writer for kids, and I knew my son would eventually love his work, I felt I had to put this one off. 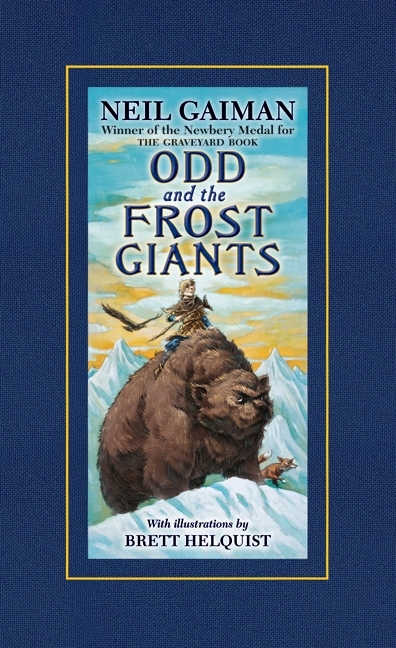 Not too long afterward, I got a copy of Gaiman's kid novella Odd and the Frost Giants, a Norse-mythology tale about an self-exiled boy and some anthropomorphic forest animals who need his help. (Gaiman’s work for children often seems to focus on kids forced, for one reason or another, to cope with difficult circumstances without parental help, at least of the traditional kind.) This was the perfect introduction: gentler and far less creepy than Coraline, it allows the author a chance to show off his lyrical side. It's a lovely book, the one that convinced my wife of Gaiman’s preeminence among active writers for children, as Coraline had done for me. And Dash took to its tone—offbeat and calmly proud of it—instantly. I froze for a while. Dash hadn't encountered anything like this grim, realistic violence in his reading so far. Could he handle it? (Or was the question really, as so often, Could I handle it?) I mentally hemmed and hawed for a while, and Dash conveniently forgot about The Graveyard Book for a bit, allowing me some time to flip through the book some more on my own. I soon found that after the difficult setup, it settles into a gentler place; it wasn’t without frightening moments now and then, but it didn’t dwell in them, either. Eventually Dash’s mind turned back to The Graveyard Book, and shortly after his sixth birthday I finally agreed to embark during his bedtime reading—fully aware that I might be launching a series of nightmares, and ready to stop at any time. And he was, no doubt, taken aback by the harshness of the book’s beginning. But I made sure we got past that part and through the true establishment of the premise—the infant is named Nobody and raised properly by the ghosts of all those buried in the titular graveyard—before he went to sleep the first night. No bad dreams resulted. And predictably, Dash was hooked. So was I. Everything Gaiman had shown himself capable of in the books we’d read before was here in spades. The dark story is handled again with that surprisingly light touch, and it’s a true page-turner. The writing has depth, too, touching on philosophy, poetry, and other “serious” matters without getting bogging down in any. And just when you’re immersed in the thriller, Gaiman gives you a surprise gift—a beautifully lyrical chapter about a once-in-a-generation night when ghosts and the living dance together. (The living, naturally, don’t remember it.) It’s a breath in the middle of the book, a short lift that advances the plot not a whit. And it’s just perfect. 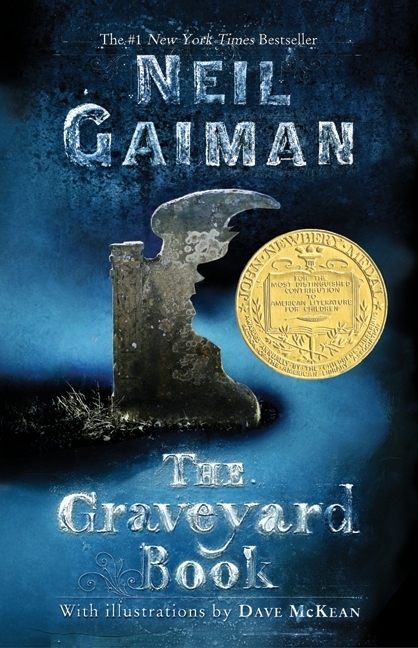 As it turns out, The Graveyard Book is closely based on—in fact, is Gaiman’s homage to—Kipling’s The Jungle Book, with the ghosts in the city graveyard taking the place of the animals who raise Mowgli. As always, Gaiman is subtle about this (I know the Kipling pretty well, and I didn’t even see the connection at first), and he never lets his references to the classic overwhelm his own narrative. You could read his book with no knowledge of Kipling and be perfectly satisfied. Not for the first time, I’m stretching the definition of new here a bit. The first entry in this two-book series by M. T. Anderson came out in hardcover way back in 2006, and the only "new" aspect about either now is their debut in a lovely updated paperback format last month. 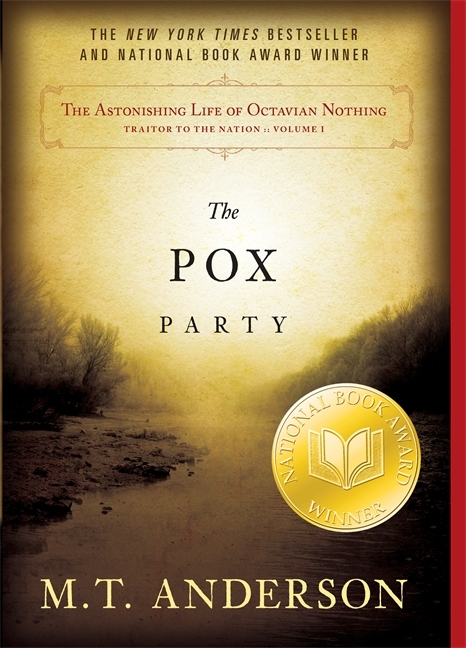 But, despite the National Book Award won by volume one, The Pox Party, both of these books were entirely new to me. And while that honor, stamped atop the covers of the new paperback editions, lifted my expectations of their quality, well...I had no idea. This is the best young-adult fiction I've read since I began covering children's books, and the first I'd recommend to adult friends as well since Philip Pullman's His Dark Materials trilogy. Anderson's tale truly is astonishing. It's about (and largely narrated by) the title character, the Boston-born son of an enslaved African woman in mid-eighteenth-century Boston. He is thus a slave himself, of course, but he doesn't know it for many years, as his "owner" is a the leader of a philosophical society that has decided, among its many other Enlightenment-inspired projects, to see what happens when you raise an African boy in European fashion. So Octavian and his mother (who develops a kind of salon of her own of infatuated society intellectuals and artists) wear fine clothes and eat well alongside their "masters," and perform no labor beyond that of Octavian's education, which matches the best available to white children—Latin, Greek, "modern" science, etc. Eventually, however, Octavian discovers the truth—that he's not merely a slave, but one who's been the subject of a lifelong scientific experiment. Worse yet, circumstances eventually require the society to seek a new benefactor for its funding; the source of its continued operation is a group of southern plantation owners. They require that Octavian's "equality" experiment be rigged so that he will fail it, thus justifying their continued use of slavery to amount their riches, all of which has a predictably dire effect on the lives of both Octavian and his mother. The real history, and Anderson's remarkable treatment of it—the American Revolution in these pages is neither as pure of motive nor as sure of success as it's generally portrayed, especially in books for children—would be enough on its own to make these books engrossing. But as vividly described as it is, it's really just the backdrop for the story, and the voice, of Octavian himself, as he discovers the devastating truth about his true place in his world, then questions that truth and finally refuses to let it define him. He's an unforgettably powerful character, rich and deep and real, the kind you start to see cinematically, hearing the voice of name actors (I settled on Larry Gilliard Jr. of The Wire) as you read Octavian’s words. I should warn that these are among the most adult of young-adult books I’ve ever read. The text itself is dense, written as it is in true-to-era colonial language and sentence structure. And then there’s the subject matter: Not surprisingly given his situation, as well as the war he's living amidst, some extremely upsetting things happen to and around Octavian, and the reader is not spared their full force. That impact is part of what makes the work as strong as it is, in my opinion, but you’ll want to be sure your young adult is prepared. In other words, these are not the YA books with which most smart 10-year-olds will want to be stretching their boundaries. 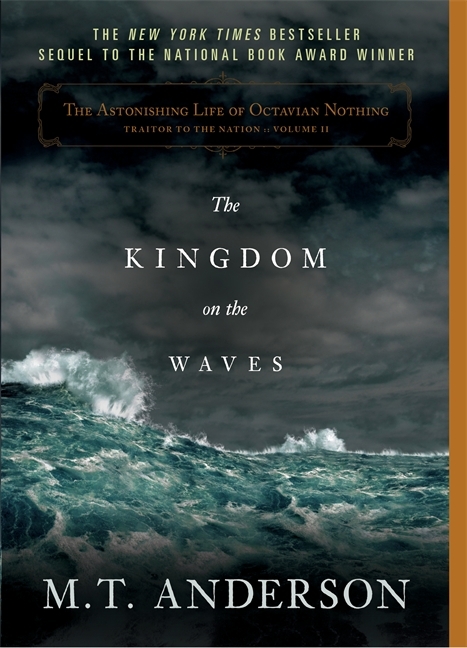 But high-school kids who are strong readers looking for challenging adult-level material will be blown away by the Octavian Nothing books, I think. Heck, most parents will be blown away by them, as I certainly was. As was probably becoming obvious, I'm abandoning the continuation of the 2010 year-end posts, feeling that what's there should suffice, and more to the point, it's February 2011 already, so time to turn to this year! My posting schedule has also fallen victim to the relentless snow and even more relentless viruses, but I am indeed gearing up for new and incredibly relevant posts, starting this week. I'll also take this chance to announce that within the next few weeks, I'm also going to start writing for Momfilter, an about-to-launch parenting website created by two of my former colleagues from Cookie magazine. As part of my work there, I'll be cross-posting entries from this blog every Friday. I'll put up a notice here once the site is live; I think any of my readers who don't already know of Momfilter from its Facebook persona (though I suspect I owe a good percentage of them to it!) will love it for its brilliant take on...well, just about every subject that's important to the life of a modern parent: viable travel destinations, dinner solutions, style inspiration (for parents and kids alike), birthday-party ideas...and, of course, children's entertainment!